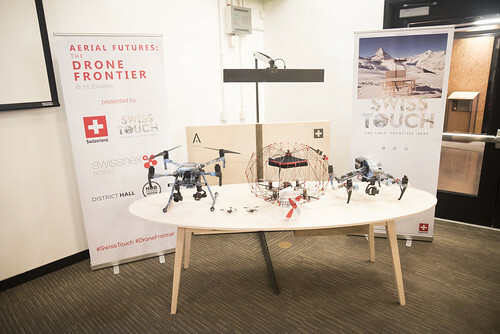 We gathered a selection of some of the most exciting drone exhibitors from Switzerland and the United States to bring to HUBweek. 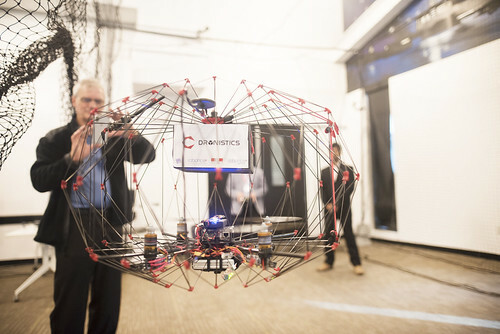 Expect an eclectic selection of UAVs – bio-inspired, micro, and more – as well as their unique and exciting array of applications. Interested in partnering with us in the future? Contact us to learn more. CH – EPFL’s FlyJacket allows users to directly pilot drones with their torso, heralding a new frontier in human-drone interaction. US – TruWeather Solutions translates weather data into actionable decisions for operations, logistics, emergency management, and outdoor events. 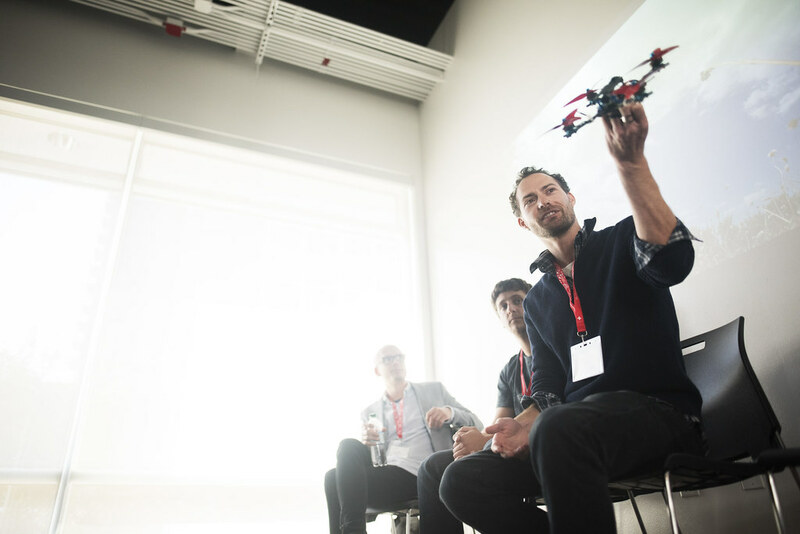 CH – DroneHarmony is a drone flight planner that has just launched the market-first fully automated 3D mission planner for inspection events. 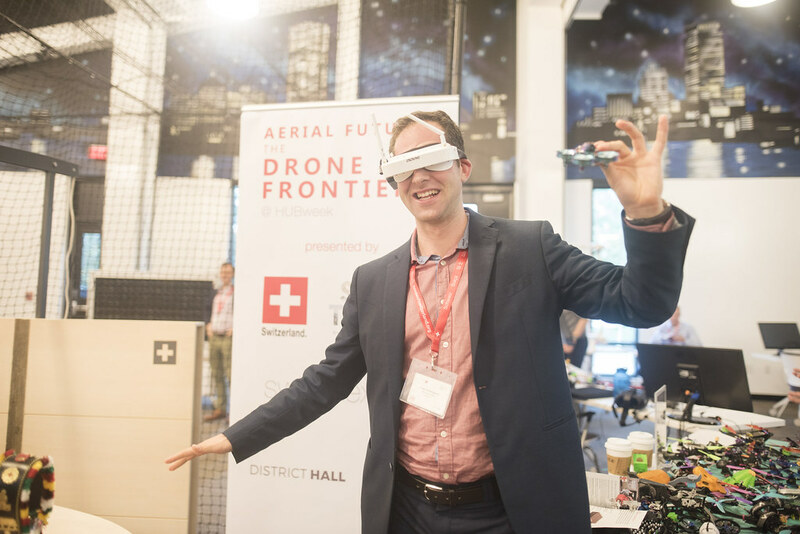 CH – IDSIA’s novel approach to drone localization and landing through a simple pointing gesture interaction. USA – TopFlightTech’s Airborg is a fuel-based drone with extended flight time, enhanced payload capacity and on-board computing. CH – Skypull high-altitude drone is able to produce low-cost electricity from more energetic winds in almost any location on the globe. 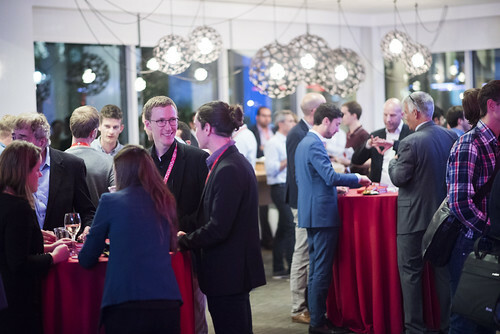 CH – The ZHAW Research Group for Geoinformatics employs aerial data for projects ranging from vegetation mapping to plastic waste qualification. US – AirWorks creates highly accurate aerial maps and 3D models to make construction and development projects more efficient and reduce costs. 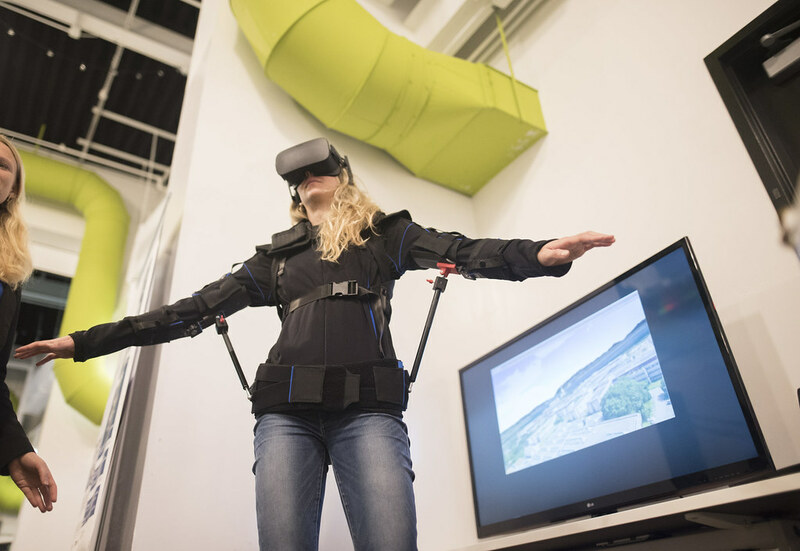 CH – EPFL’s Laboratory of Intelligent Systems, headed by Dr. Dario Floreano, is a world-class lab for the development of drone tech. 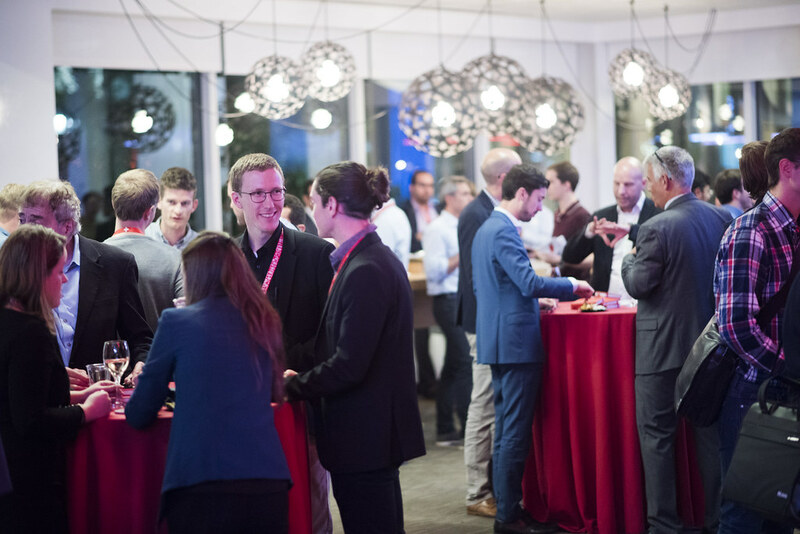 CH – Interested in the Swiss drone ecosystem? 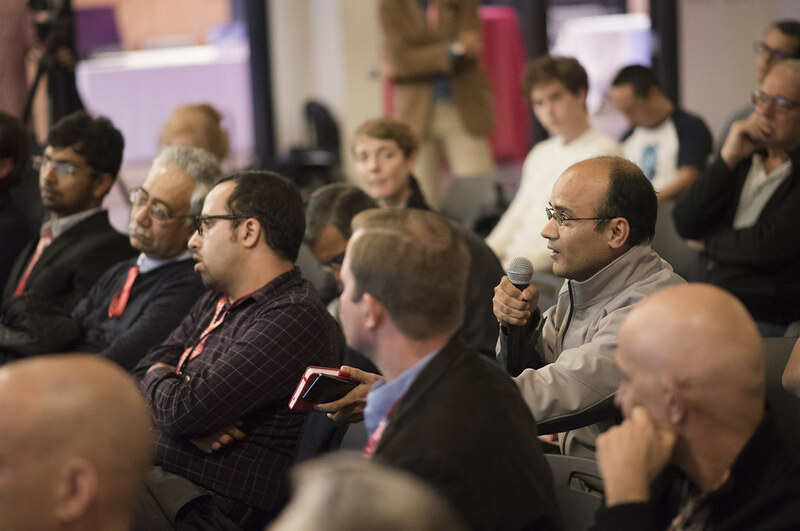 Get insights and advice from experts from the Greater Geneva and Bern area and the Greater Zurich Area. US – Quantifly uses high-resolution aerospatial imagery to observe, measure, and quantify changes in the urban environment. 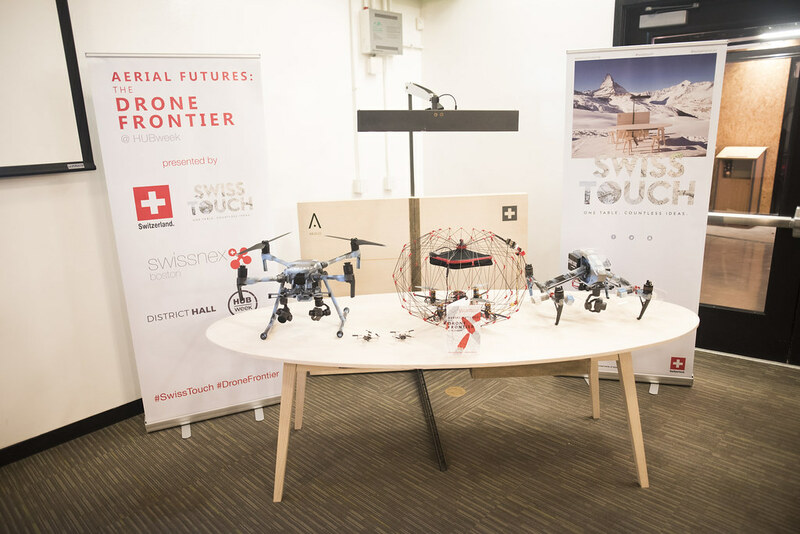 CH – Switzerland’s leading aerospace innovation park, Swiss Aeropole is set to be a world-class hub for drone technology development and testing. US – SnotBot is drone collecting the blow of whales, providing useful information about the animals as well as the quality of the water of our oceans. 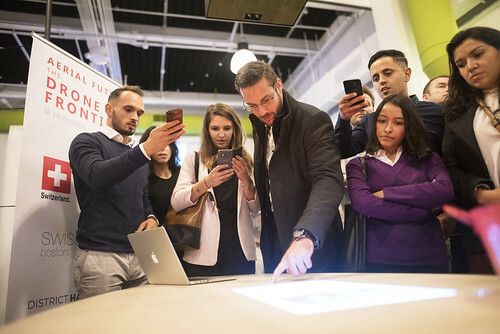 US – GENIUS NY is a year-long business accelerator that awards five finalist teams a total of $3 million in investments. GENIUS NY is focused on Unmanned Systems; software, hardware, analytics, IoT. CH – WindShape innovative testing technology will speed up your product development and lead your team to better and quicker results. Press questions? Please e-mail Jake Link to learn more. 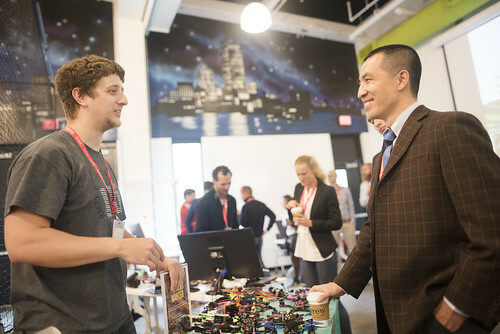 View all photos from Aerial Futures: The Drone Frontier @ HUBweek here.